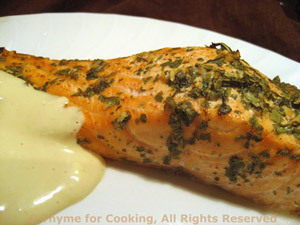 Marinated Salmon with Brown Sugar Yogurt Sauce, quick, easy gourmet dinner. 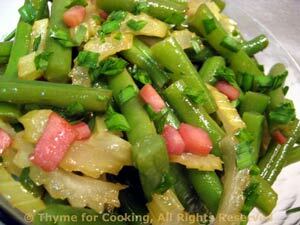 We use a bit of ham in the beans to add to flavor... the rest in the salad on Day 3. 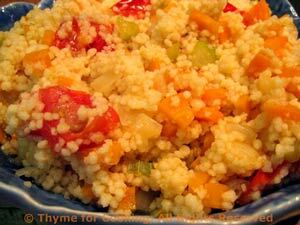 The salmon is easy, the couscous is quick so it's a minimum fuss summer dinner.